After cleaning up the kitchen, making meals and snacks, scrubbing spilled carpet stains, sweeping floors, working on laundry. Motivating kids as patiently as one can, to help with house chores; And then to find the places you have just cleaned have been undone right behind your back. Plus you have broken up sibling fights for the umpteenth time. The dog has nipped after growling as a warning for several minutes from the teasing of the children. You lock yourself in the bathroom just to catch a breather alone to hear *knock knock knock* "MOM! "*knock, knock*"MOMMMY!!" The family sits down to a nice quiet dinner, only to have drinks spilled, food complaints, whining and tears for one reason or another. Later the clock on the wall and the stars outside says your day is done. It's time for bed and you are barely making it through reading to the children in bed without talking in your sleep about Goldie Locks and the Pink-Polka-Dotted Elephants. Giving final hugs and kisses then crawling to the bedroom in a blind military style to the holy bed before you! Collapsing in exhaustion only to awaken and do it all over again. How many times do we find yourself wondering "Is it all worth it? Am I really making a difference? Does anyone even care?" But then we get sweet gentle reminders, someone precious See's you for all the perfect glory that you don't. Someone believes you could fly into he air at the slightest sound of a cry for help. Who knows you would stop a train to save a child on the tracks. Someone knows that your magical kiss heals everything! Since embracing the concept of being a SuperMom my children see me differently. In fact they remind me more often that... I can do it! 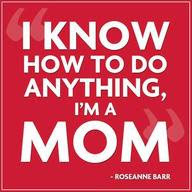 After all....I AM SuperMom! My son loves to write our SMT logo on papers. he has made me many posters with SMT. When times are frustrating he will say "It's O.K. cause your SuperMom!" So, If I am SuperMom, what does that make him? But of course....SUPERMAN! 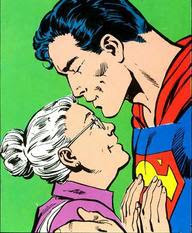 And then just like SuperMan had a choice to make, through the loving influence of his parents, believing in him even when the rest of the world thought there was no place just right for him. because of that, he use his gifts and talents to protect people and do his best to stand for Freedom. Knowing that not everyone will support him and that he would come face to face with many challenges some even life threatening. But knowing what he is doing is right no matter the fight. We are SuperMomTested because life's tests make us who we are meant to be so we can raise a stronger more powerful influential and confident generation.